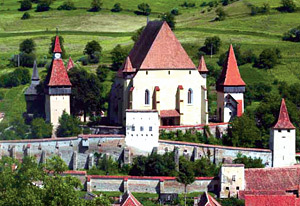 The fortified Church of Biertan was the Evangelic Episcopal See for 300 years (1572 – 1867), and the religious centre for the Saxons in Transylvania. In 1993 it was included in the UNESCO world patrimony, being considered the most valuable of the seven Saxon attraction points included on that list. Built between the 15th and 16th century, in Gothic style and with Renaissance influences, this monument is the one that keeps best its initial aspect. The total surface of the complex covers almost 1 hectare. The church is 45.15 meters long, 22.7 meters broad and 16 meters high. 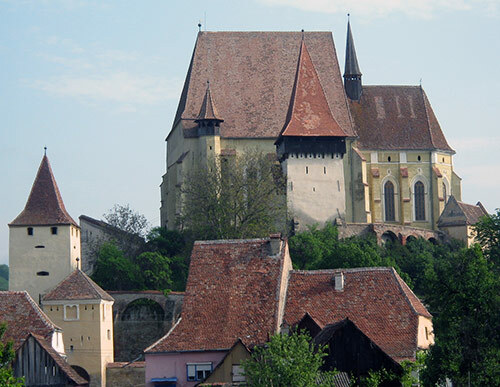 The fortified Church of Biertan, the religious centre of Saxons – Sibiu County. 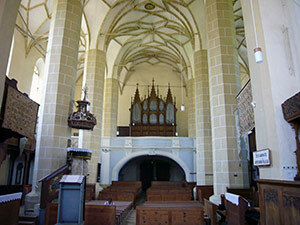 The main construction is represented by a hall church with three cellas arched in network. The altar is sculptured in wood, and it has 24 icons presenting biblical scenes. The main painting represents the Crucifixion of Christ and Virgin Mary and Mary Magdalene embracing the Cross. The Pulpit is sculptured out of a stone block, and impresses by its paintings, also representing biblical characters. 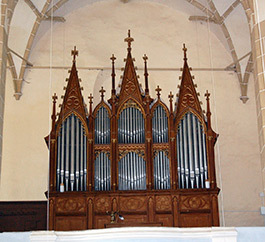 Since the 16th century, it has housed many organs; the last one, dating from 1869, is a 1290 tubes organ designed by Hessian Company in Vienna. Another tourist attraction is the door of the vestry, built in 1515, which has 19 bolts and was awarded at the World Exhibition of Paris in 1900. In time of war, the thesaurus of the church and that of the village was kept in the vestry, and that is the reason why the door was well secured. 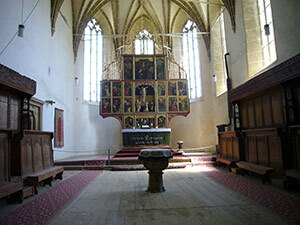 The fortified Church of Biertan – The altar is sculptured in wood, and it has 24 icons presenting biblical scenes. The main painting represents the Crucifixion of Christ and Virgin Mary and Mary Magdalene embracing the Cross. 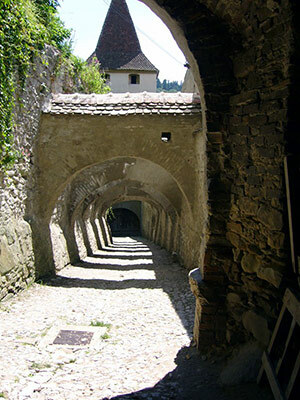 The fortified complex of Biertan is formed of three concentric walls, the interior ones being annular. The walls were united by gate – towers. The whole site has seven towers. The Clock Tower is at the North East side of the church, at the first wall, having shooting windows and a wood foot bridge. The clock still works and someone rotates every day the handle which sets going the huge mechanism. Then, in the North, there are the Bell Tower and the Mausoleum Tower, which shelters the tombstones of priests and episcopes. 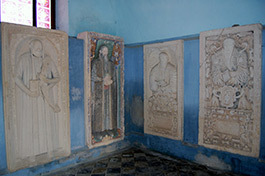 The interior of Biertan Church – Sibiu. At South there is the the Catholic Tower, with a chapel for the Saxons who didn’t want to become Protestants. 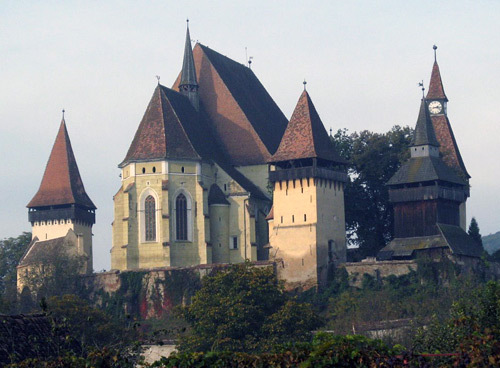 Historians say that in 1654 Transylvania was known as the only country in Europe with four denominations: Calvinists, Lutherans, Romano – Catholics and Nontrinitarians (opposing Trinity), alongside of small comunities of Orthodox Christians. Then, the Mayoralty Tower is located on the west side of the church, and it is also a gate tower that united the interior and the middle walls. The waggon road also passed through this gate. On the South there are two gate towers, also called the Gate Towers, one corresponding to the third precincts wall, and the other corresponding to the second wall. Inside the interior tower the food was stored in time of siege, and this is the reason why it was called the Bacon Tower. The fortified Church of Biertan – The Mayoralty Tower is located on the west side of the church, and it is also a gate tower that united the interior and the middle walls. The waggon road also passed through this gate. There is also the the Prison Tower, which is said to have been used for punishing the husbands and wives that wanted to get divorced. The oldmen’s stories say that the husband and the wife that wanted to break the marriage were locked inside this tower, where they had only one bed, one table, one plate, one set of covers, one glass. It is no longer known for how long the husband and wife were locked in there, but it is said that there was only one divorce in 300 years. Nowadays, because there are few inhabitants in the village, the service is officiated once a month by a priest from Medias. Since 1990, the yearly meeting of all Saxons takes place at Biertan, on the first Saturday after 15th of September. After the service, there is a traditional costume parade, the craftsmen’s fair and all sorts of cultural manifestations. 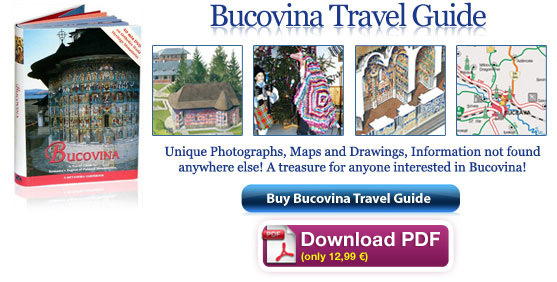 Alongside the church of Biertan, the Saxon churches of Calnic (Alba County), Saschiz (Mures County), Darjiu (Harghita County), Valea Viilor (Sibiu County), Viscri and Prejmer (Brasov County) were included on the UNESCO list. 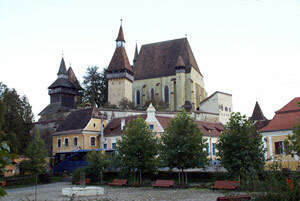 The fortified Church of Biertan – Sibiu. 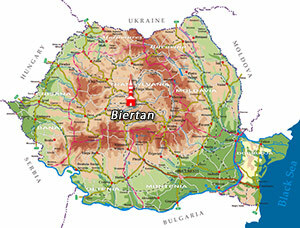 The settlement of Biertan is located between Medias and Sighisoara, on the county road DJ 141 B, which is a ramification of the national road DN 14. Those who prefer travelling by train can take the fast trains to Medias or the slow trains to Dumbraveni (9 kilometres far from Biertan). In what concerns the accommodation possibilities, there are seven “two stars boarding houses” in Biertan. 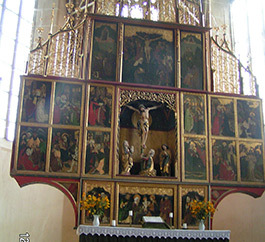 The altar is sculptured in wood, and it has 24 icons presenting biblical scenes. The main painting represents the Crucifixion of Christ and Virgin Mary and Mary Magdalene embracing the Cross – The fortified Church of Biertan. Since the 16th century, it has housed many organs; the last one, dating from 1869, is a 1290 tubes organ – The fortified Church of Biertan. 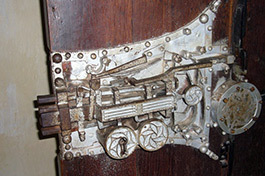 The door of the vestry, built in 1515, which has 19 bolts and was awarded at the World Exhibition of Paris in 1900 – The fortified Church of Biertan. The Mausoleum Tower, which shelters the tombstones of priests and episcopes – The fortified Church of Biertan. 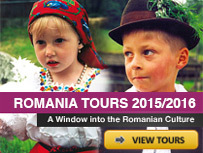 To visit Biertan go to Medias city by train. In Medias take the bus to Richis at 12:20 . The return bus from Biertan is at 16:45. I’ve been following your website for 4 days now and I should tell you I am starting to like your post. and now how I can get news update from your blog? Hi – It’s good to find such topical stuff on the Internet as I have been able to fiind here. I agree with most of what is written here and I’ll be returning to this site again. Thanks again for posting such great reading material!! Which of the monasteries is a good place to get married in if you are a foreign tourist and want to bring along 20 people for the wedding? Accomodation must be nearby for all the guests but we want a monestary in a beautiful and quiet scenery, in the mountains. We are thinking of Densus or Biertan. Please, do you have other suggestions? Henrik from Sweden.